← Have You Tried Sprouting This Spring? Baby Plants With BIG Flavor! Upon being asked if I liked Dijon mustard, I shook my head yes and tried some little green plants that tasted amazingly just like Dijon mustard. The mustard flavor was quickly followed by a hot sensation (not spicy). What was it that I just tasted? I had just had some of Sweetwater Growers‘ mustard microgreens! Microgreens are small clover-like plants that grow not much taller than 2 inches. The most common use for these tiny flavor packed greens are in the white tablecloth restaurants as a garnish or small addition of flavor on sandwiches, salads, and soups. 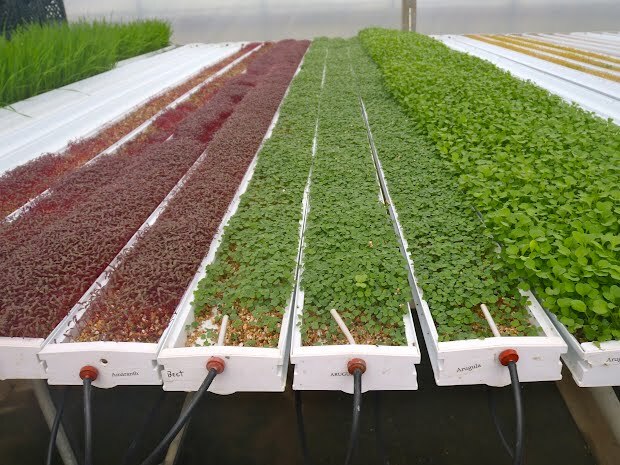 They’ve only been grown in the United States for the past couple of decades or so, but the demand for microgreens has been increasing rapidly. After trying celery, mustard, and sugar snap pea microgreens I can see why, I think I would put them on just about everything! Microgreens are grown in soil, not water. The main parts of microgreens that get consumed are the stem and fully developed leaves. Microgreens take about two weeks to grow, some can take as long as five weeks. The growing process of microgreens is very sterile and easy to get a hang of. Sprouts are germinated seeds. The parts that are consumed are generally the seed, roots, stem, and underdeveloped leaves. Sprouts are done growing after just a few days and must be used quickly to prevent spoilage. Growing sprouts may have a risk of spoilage due to being grown solely in water, however, if precautions are taken, your sprouts will be edible and delicious! Sweetwater Growers uses a growing process of hydroponics to grow their basil, potted plants, and microgreens. 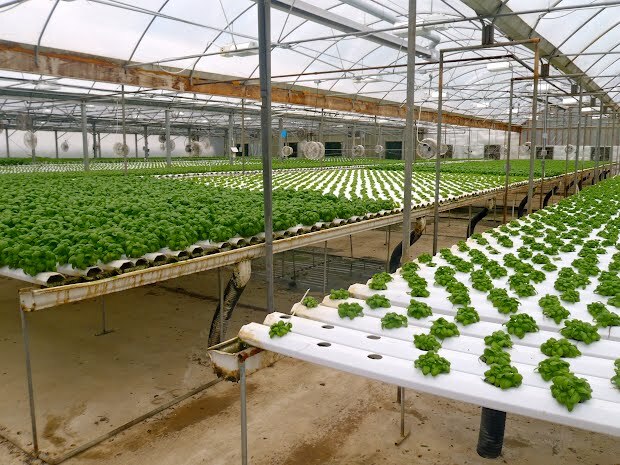 Hydroponics is a growing process of growing that substitutes soil for a substitute nutrient rich substance, such as perlite or sand, and keeps water circulating frequently. The growing system for hydroponics is very controlled and has a fast turnover rate. While hydroponics takes some previous growing knowledge and easily controllable environments, you can much more easily add a new punch of flavor with microgreens as a little treat! 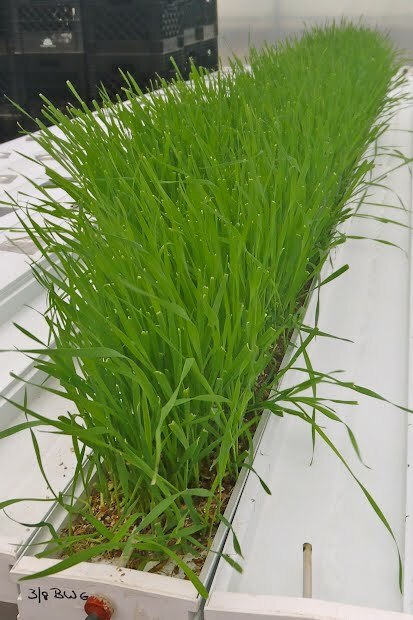 This entry was posted in Food Warrior Interns, On the Farm and tagged food warriors, hydroponics, microgreens, Microgreens vs Sprouts, natalie machado, Real Time Farms, Sweetwater Grower’s. Bookmark the permalink. 2 Responses to Baby Plants With BIG Flavor! We love sprouts and micro greens in Hawaii! You can get them in fine dining restaurants on Kauai as well as outdoor cafes and with sushi.